The pomegranate is an ancient fruit native of Persia, Pakistan and Afghanistan that was cultivated and naturalized in Georgia, Armenia and over the entire Mediterranean region and northern India since ancient times. Pomegranates are mentioned several times in the Old Testament, and the ancient city of Granada in Spain was renamed after the fruit during the Moorish period. The pomegranate shrub was introduced to California by Spanish settlers in the early 18th Century, and is now widely cultivated in that state as well as in Arizona. With a rich history in myth, symbolism and art, the pomegranate was even thought by some scholars to be the forbidden fruit, which tempted Eve, not apple. Because of the intense ruby color of its edible seeds, the pomegranate was an inspiration to many artists of the region. The pomegranate is used for medical purposes in Persia, Georgia and India and has always been an important part of the Middle Eastern diet. In its long history, the pomegranate has been linked to health, fertility and rebirth. Because pomegranate has astringent, anti-parasite properties, it’s root bark is used to treat intestinal parasites. The bark contains alkaloids that sedate intestinal parasites making them lose their grip on the intestinal walls, and therefore easier to expel. This day and age, the pomegranate has become a super-food mainly because of its antioxidant properties. It is a symbol of good taste and good health. Research has shown that the pomegranate fruit and its juice may help with heart disease, as it reduces blood clots and contains the damage done to the arteries by cholesterol. The pomegranate also helps with other problems associated with ageing due to the fact that it is loaded with antioxidants, vitamins, potassium, folic acid and iron. Pomegranate fruit extracts can block enzymes that contribute to osteoarthritis, according to study done at Case Western Reserve University School of Medicine. This study found that pomegranates possess antioxidant and anti-inflammatory properties and these properties have therapeutic benefits in a variety of diseases. The pomegranate has become the most versatile produce on the plant; lending its distinct taste, beautiful color and luscious smell to all kinds of foods and skin care. 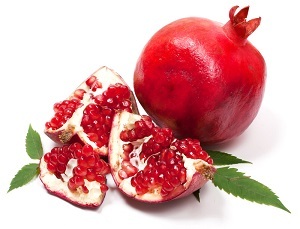 Its uniqueness and flexibility makes it fun to experiment with, and because of its brilliant shade of red, crunchy texture and intense flavor, anything made with pomegranate makes a statement which is why it is becoming popular with famous chef’s, celebrities and restaurants. Pomegranates take a good amount of time in order to get to the edible red bulbs on the inside. They can be very messy as the juice inside will dye anything it touches – counters, hands, clothes. That’s why bottled Pomegranate juice has become a popular version of enjoying this healthy fruit. Enjoy this fun, bright, delicious fruit. It is a super-fruit with many healthy benefits. Pour yourself a tall glass or enjoy a bowl of the juicy bulbs. 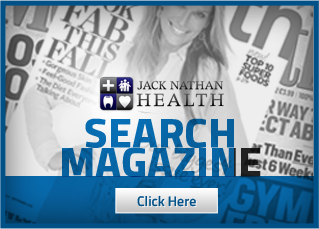 This entry was posted in Health News and tagged antioxidant, nutrition, pomegranate, pomegranate juice, super fruit on November 6, 2014 by admin. Holiday Hours Please click here for our complete holiday hours. Our Waterdown Walk-In Clinic will be open 9am to 3pm for Civic Holiday Monday August 6. 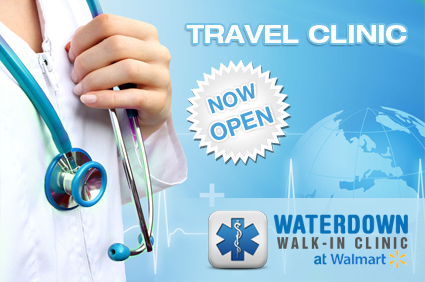 Waterdown Walk-in Clinic is at 90 Dundas Street East, Walmart, Waterdown, Ontario L0R2H2.